Strawberry Skys Yurts is set in 10 acres of glorious countryside in the hills of mid Wales. Be here at sunset and you will instantly understand the name. 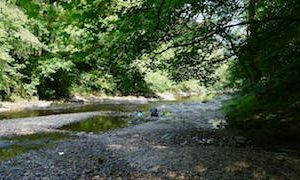 We are beautifully secluded, yet easily accessible which makes us the perfect place for your next glamping holiday in Wales. We are a low-impact family run site with only four yurts so will never feel cramped or hurried during your holiday. Each of the yurts are situated well apart from each other. You simply relax enjoy your things at your own pace. 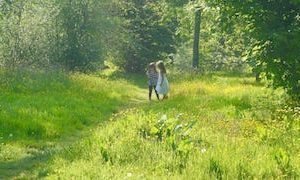 Children can roam free, exploring their natural surroundings, or brush up on their outdoor survival skills, gathering wood, building campfires or rustling up an alfresco feast on the barbecue. Couples seeking a romantic break can enjoy stunning sunsets and starry nights from the comfort of their yurt. There is plenty of space between yurts and the site always has a peaceful, intimate ambiance. 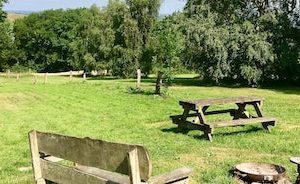 Your glamping weekend could involve nothing more strenuous than a walk to the village for some refreshment and supplies then back for a BBQ. We offer a real chance to keep things simple; to slow things down. and we understand just how important this is to our guests. For longer glamping holidays use our superb location as a base for exploring all the sites and activities that Mid & North Wales offer. See our “Playing“ page for more information and suggestions. But don’t feel pressured to go anywhere. Come, relax and get away from it all. With nothing more to worry about than lighting the BBQ and keeping the fires going. We fell in love with the land at first sight and believe Strawberry Skys Yurts is the perfect location for your glamping holiday in Wales. Spend your glamping holiday with family or friends and you can end the day marvelling at the Milky Way and the occasional shooting star. Watch the bats and listen to the owls from the comfort of your own camp fire. Then enjoy the gentle lighting and relaxing warmth of your yurt for the perfect wind-down.